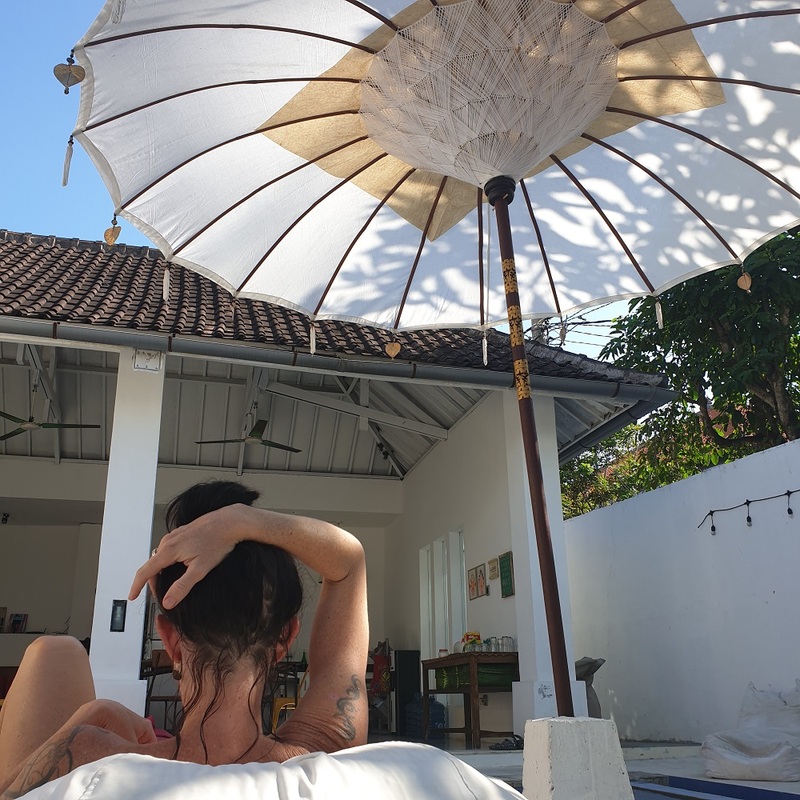 Canggu is one of the best places to stay in Bali! Whether you are a first timer, or a Bali veteran, Canggu ticks a lot of boxes, especially for families. It is definitely one of our favourite spots! 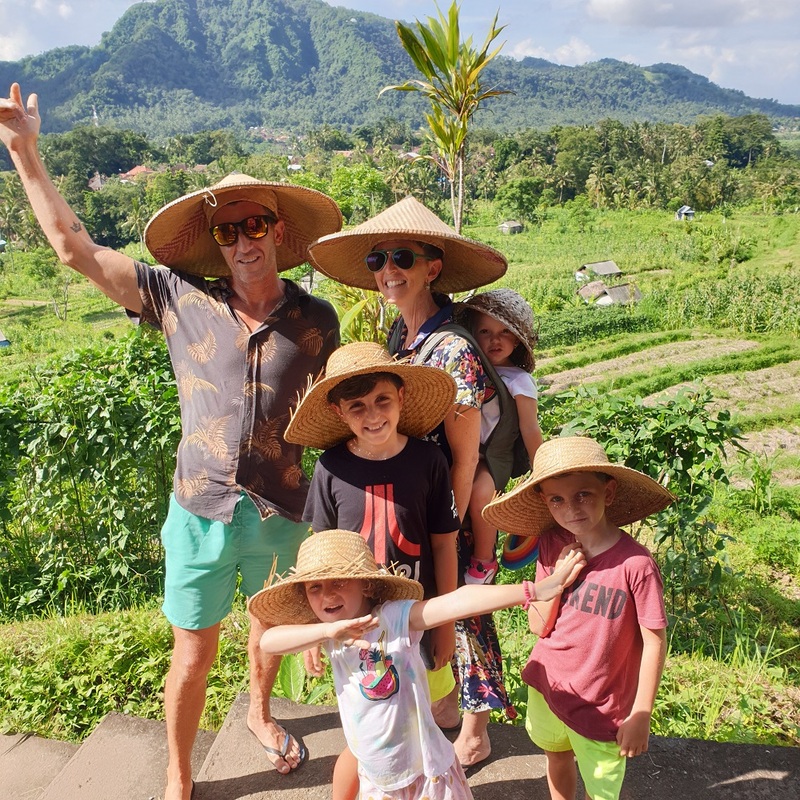 That’s why we have created this ultimate family guide to Canggu Bali so you can come and see why! 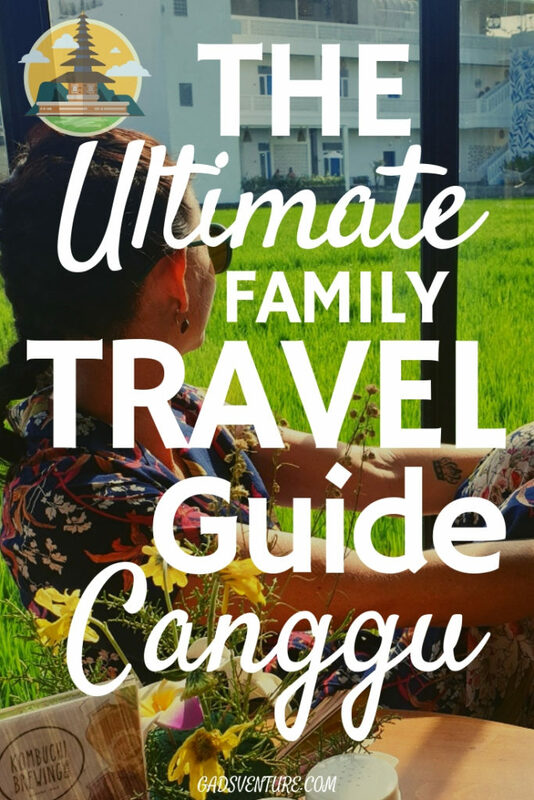 Your Ultimate Guide to Canggu!! The atmosphere is very kid-friendly. 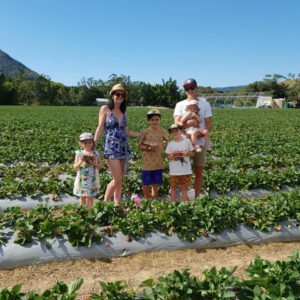 There is heaps to keep both the grown-ups and the little ones entertained for ages. Typically, our favourite times to visit Canggu are the shoulder periods. This means the times just before or just after the peak travel times. Visiting between March and May, and September to November are the best times to go. In March you might get the tail end of the rainy season. This means a heavy shower or storm each evening after a beautiful warm sunny day. November you might get the start of an early rainy season too. The monsoon usually runs between December to February. Visiting in these shoulder times will ensure you get your pick of accommodaton, at cheaper low-season rates. The streets and restaurants are not overly busy, but there are enough people around so you don’t feel lonely too. The only bad thing about low season is you do get bored taxi drivers calling out to you every time you walk down the street, looking for a fare. But it means you can haggle hard to get a better deal. For a detailed post about the best times to visit Bali with your family, read this post – Weather in Bali! Canggu is vaguely divided into 4 sections. There are 3 main roads which head down to each part of the beach, and each has its own charm. They also get progressively quieter the further west you head. These 4 areas are then linked by the much busier main road Jalan Raya Canggu. It runs parrallel to the coast, and to the north of the area you want to be. When searching for your accommodation, anything along these main streets, and on the beach side of Jalan Raya Canggu will be great. The streets are lined with cool cafes, funky bars, fun kids play zones, shops, and gelato. Most have a distinctly western owned feel. But due to their position in between rice paddies, and the inclusion of nasi goreng on their menu, you know you are in Bali. My favourite thing about Bali has got to be the friendliness of the people here. They absolutely love kids. Our kids get so much love and attention everywhere we go. Cafe staff try to ply their affections by free cookies, and cheek pinches. It was a bit confronting at first, especially for our young daughters. But they have warmed up to the continued attention, and now they bask in it! Mabel sits in her baby carrier backpack and waves to everyone like she is the queen! And Daisy quickly learnt that if she sweetly says a Terima Khasi (thank you) the locals think she is amazing! This is where we found ourselves accidentally after our recent Airbnb fail – Find out what happened here. This ended up being a very happy accident! While Berawa Beach and the other Canggu beaches themselves are nothing to get excited over, the surf is fantastic. I can’t walk on the beach without cringing at the plastic rubbish on the shoreline. We were regularly there with a bag in hand me and my army of kids collecting as much as we could while Brian surfed. And there are a terrible number of dogs on the beach. Like, too many in my opinion. This great strip leading to the beach contains a fantastic number of restaurants, culminating in Finn’s Beach Club on the beach end. Unfortunately, the land adjacent to Finn’s has been purchased by a massive Ibiza danceclub. Berawa Beach is set to change drastically in the near future. The cute beach bars are to be cleared out to make way for this development. The face of Berawa will definitely be altered. Maybe they will clean the beach. We stayed at a pretty hostel called La Boheme and it was so gorgeous, we will certainly stay again. With free pancakes and a cute pool, a 6-bed dorm was perfect for our family. It only cost around $70AUD per night. A 4-bed family room costs $50/night. We were surrounded by restaurants and cafes that were perfect for every taste and budget. We even had a swanky kid’s playground across the road at Tamora Gallery. For a classy 3-bed private pool villa in the heart of Canggu, you have to stay at Villa Kassike! It is fully staffed luxury and they will easily arrange your airport transfer for a completely hassle-free stay. Walking distance to everything to. Rates are only around $250 per night for the whole villa! Enter your dates and check availability here. Dea Villas offer 4 separate fully staffed villas ranging from 1, 3 and 4 bedrooms. These can be booked separately, or all together, perfect for holidays with friends. They have gorgeous classy furnishings and ample outdoor spaces for play by the private pools. There is even a kid’s playground with slides and cubby. All 4 villas will comprise of 12 bedrooms altogether for as little as $1760US per night. For the whole 12 bedrooms! You could easily split this between 4 or 5 families and have an epic holiday with your loved ones. This is one of the reasons we love villas in Bali so much. The value here is unbelievable! Jalan Pantai Batu Bolong is otherwise known as the main street of Canggu. You can find everything you need, and some things you don’t need on this street! It is busy and packed with cool shops and restaurants. Canggu Beach Apartments are perfectly located on the main drag. This is right amidst the fun of Batu Bolong and only a few hundred metres from the beach itself. The Practice yoga studio is right across the road from here. A family apartment sleeps 4 for around $230AUD per night. For a stunning luxury stay right on Echo Beach, check out COMO Uma Canggu. Five-star does come with a price tag, but it is beautiful. Pererenan Beach is the favourite for luxury villas, and has been our top spot to stay in Canggu. It’s the best, especially when travelling with a big group of friends or family. You can get an amazing villa out here, close to the beach which will sleep 8 or more, for around $400AUD up to $2000 per night. Try Beach Club Villa Bali – an epic 3-bed beachfront fully staffed villa from $490USD per night. Airbnb will often give a discount for longer stays, so you can save more if you stay for at least one week. These luxury villas come fully staffed with a chef, driver, gardener, cleaner and butler who will cater to your every need. Your air-conditioned rooms usually open up onto a private pool (without a pool fence) and an airport transfer is either included or negotiable too. Pererenan is a lot less touristy and much quieter compared to the other parts of Canggu, but still within easy access to everything. A taxi from here to Seminyak will take about 20 mins (depending on traffic). Here are some tips on finding your perfect Bali Villa using Airbnb. There are some great family villa options when searching ‘Pererenan’ on Airbnb. If you haven’t used Airbnb before, it’s easy. Airbnb doesn’t cost anything to join or to use, payment is made securely via credit card, and you have great customer service support on hand. You can also ask as many questions of the villa host via their message service as you need before you make the booking. Ask about inclusions, airport transfers, and installation of a temporary pool fence here. 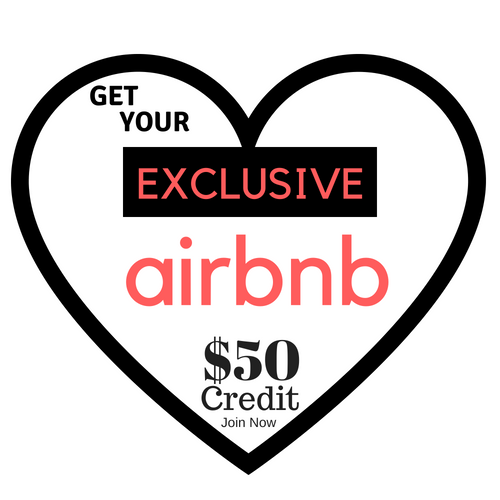 If you haven’t already joined Airbnb, you can sign up here and get a genuine $55 off your first stay, just by using my invite link. Always get an airport transfer. You should pay around 200,000IDR to Canggu. It reduces so much hassle at the airport if you simply walk off the plane and find the guy holding your name on a sign. When wrangling tired kids, the airport can be a mission. Negotiating a taxi fare is one thing you don’t want to have to deal with. Also, our experience with Airbnbs shows that villas are notoriously hard to find. It is a great idea to arrange the taxi with the villa themselves. They actually know where they are going. Travelling with a baby, you definitely need a lot of equipment! Bali Baby Hire is another great resource when it comes to your family trip to Canggu. The can arrange pool fences which meet Australian standards, strollers, cots, highchairs and more. So you don’t need to bring all of that heavy equipment with you! Check out this entire article dedicated to all your money needs in Bali. From ATMs, to money changers, credit cards and cash, you will find the answers here. There are plenty of ATMs around the place, with a withdrawal limit of anywhere between 1,000,000IDR to 2,500,000IDR. Most machines will charge a fee on top of your usual credit card/cash advance/international transaction fees. ING is the only account with no international transaction fees, get your own Daily Account here. Always make sure you have a back up, don’t just bring one bank card with you. Don’t keep all your cards and cash in the same place either. You can find Guardian Pharmacies, and Pepito Supermarkets all over Bali, along with little AlphaMart, IndoMart and other small convenience stores. The BaliMed Canggu Clinic will professionally cater to your medical needs. They also do house calls. 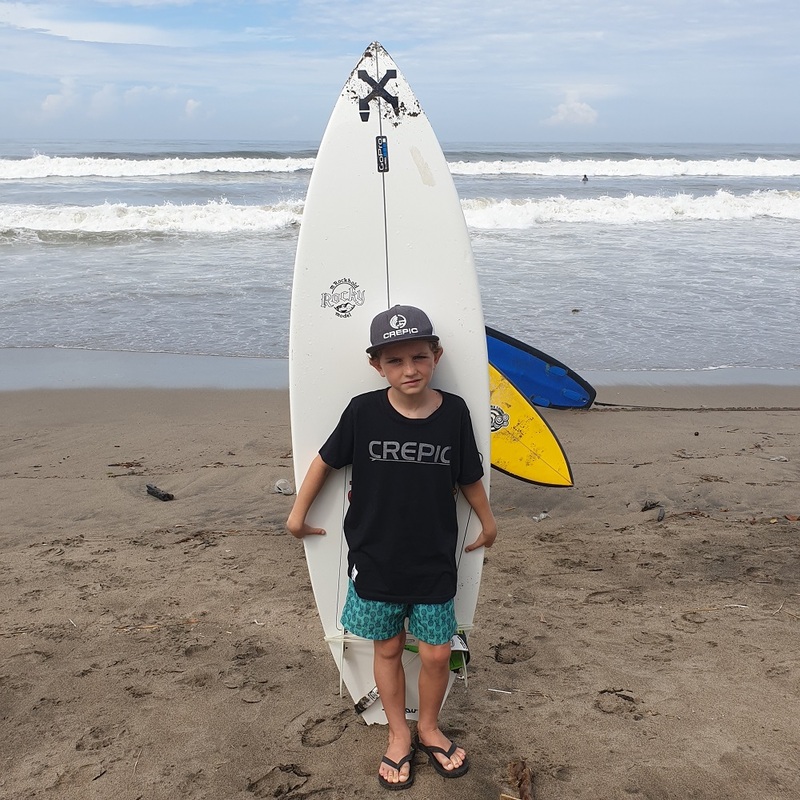 You can realistically stay in Canggu and do most of the activities for kids that all of Bali has to offer. 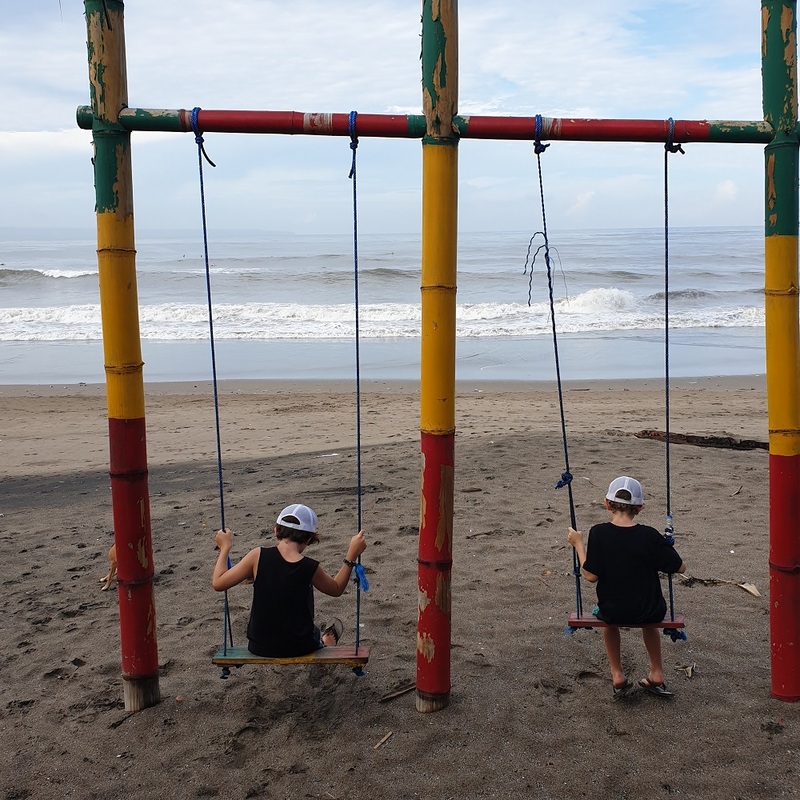 However there are a few special things in Canggu itself that are defnitely worth checking out with the kids. This is the sort of place that keeps you coming back again and again. It is a collection of 40+ shops with cafes, ice-creameries, boutique shopping and good-priced international cuisine. This all culminates in the middle where they have a fantastic children’s playground. There are huge grassy knolls with climbing ropes, and massive wooden tower maze structure, a merry go round, and swings. There is even a skatebowl here too. The awesome Tamora Gallery was a kid’s favourite! Every Sunday they host ‘Kid’s Sunday‘ and provide heaps of entertainment with live music, face painting, craft and puppet shows. We absolutely loved the music from a gorgeous group of female musicians called Ensiklomusic (find them on Insta). Never have I heard Baby Shark on a string quartet, but man they even made it sound good! Nightly (from 6.30pm – season dependent) they show a kid’s movie here on the big screen too. Although, when we stayed here in March, it was always raining at 6.30pm. Saturday nights they have Acoustic artists and a pop-up bar which is a great excuse to have a drink with your partner while the little ones are occupied on the epic playground. They have childminding here too. Rates at Cheeky Monkeys start at 150,000IDR per hour. They provide more than just a babysitting service with great programs such as dance, and music too. For more details on Cheeky Monkeys, see their website here. Follow @ TamoraGallery on Instagram to keep up with the latest events and offerings, and I hope you will find it to be a favourite place in Canggu too! 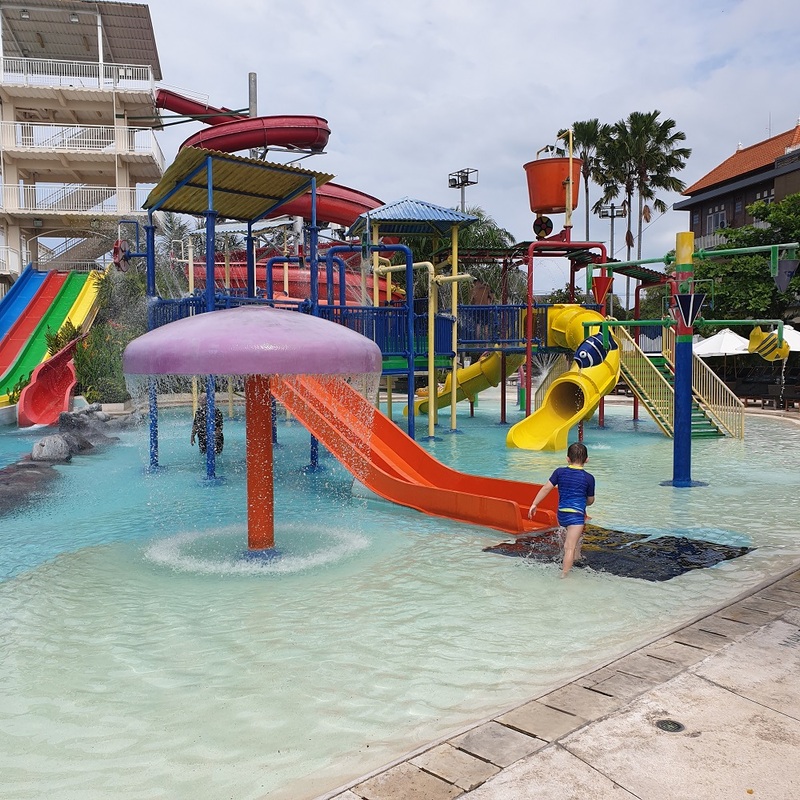 This is a cool place to take the kids for a day and is centrally located in Canggu. With massive waterslides, and a little kids waterpark as well, Splash waterpark is also attached to Bounce Now trampoline centre, and Strike Ten Pin Bowling. You can visit them all on the Super Fun Day Pass, find your tickets here. Finn’s Rec Club Splash Waterpark is so fun! Check out our full review of Finn’s Rec Club before you go! You can leave your kids at The Garden Early Learning Centre for a minimum 1-hour play in their drop-in kid’s club. On 7 days a week from 8am to 5pm they provide stimulating and engaging activities for kids aged between 2 and 12. At a cost of only 60,000IDR per child per hour, this is a wonderful way to let the kids (and you) have a play! La Laguna has long been one of our favourite places to visit in Canggu. It has gypsy wagons and a beautiful lawn overlooking the beach with a fabulous family festival atmosphere. The menu is perfect and watching the sunset here is just a wonderful experience. La Laguna is currently closed for renovations, though, hopefully re-opening very soon with an even more loveable and magical venue. Stay connected via their Facebook page to discover when they re-open! I can’t wait! Your kids will love the ride/groom packages on offer at Bali Equestrian Centre! Prices start at 200,000IDR for a 15 minute ride. They are open 7 days a week – check their website for timetables and to make a booking. An awesome climbing and bouldering gym located right in Canggu, Bali Climbing and Bouldering offers a fun and energetic option for active families. There are opportunities for all levels of ability from beginner to expert and they also offer expert training on site. Kid’s climbing classes are on daily 4pm – 5pm and cost 150,000IDR. General entry is 80,000IDR for a 2 hour session (kids) and 150,000IDR (adults). The Practice is the most popular yoga studio in Canggu. They provide world class teachers in a stunning setting, and teach mainly the Hatha style of yoga. Strolling along the Canggu street will unveil so many cool shops from Balinese and International designers, usually at reasonable prices too. Sometimes it’s nice shopping somewhere with fixed prices, to have a break from bargaining. Check out Mimpi Mannis for styling beautiful boho daughters, and Spellbound Bali for toys and books. On a hot day, grab a car and driver for around $40, get your Kardashian on and have a chauffer while you shop. Heaps of learner surfers out there giving it a go! Canggu offers some of Bali’s most consistent surf, year round. It is easily accessible, especially compared to our experiences down on the cliffy Bukit – read more on Uluwatu here. There are always good little banks on this open beach break with a half reef and half sandy bottom. We like to sit at Finn’s Beach Club while dad surfs. At the wrong time of year, plastic rubbish washes up on the beach here which makes it not the sort of place I like building sandcastles with the kids. 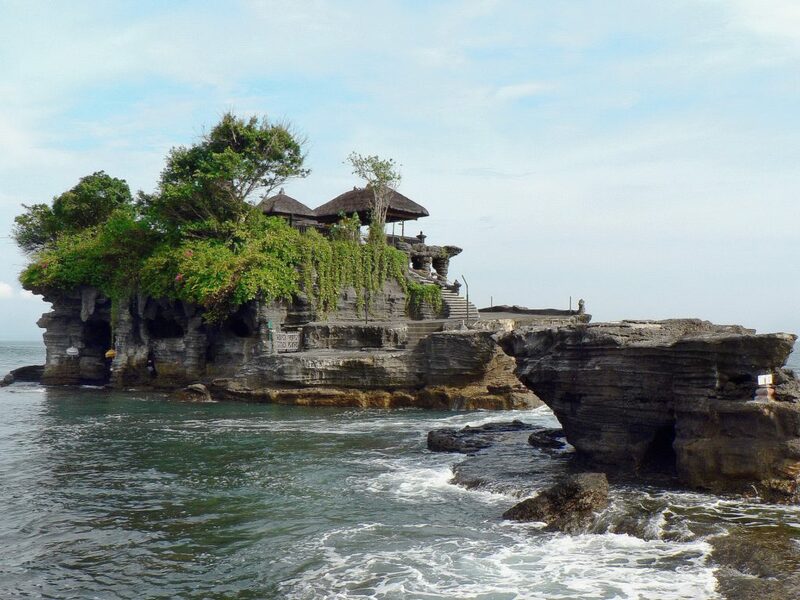 Just half an hour from Canggu is the beautiful Tanah Lot Temple. This is a very important temple for Balinese and forms a loop with the other clifftop temple at Uluwatu. The temple is said to be protected by black and white sea snakes which apparently swarm the waters surrounding it. And it is prophesised that young unmarried couples who visit the temple will break up soon afterwards. It is a very scenic spot to visit nonetheless, especially at sunset and high tide. There is great food to be found all over Canggu. Tamora Gallery houses some great burger and ice-cream stores, and The Joglo is another firm family favourite. 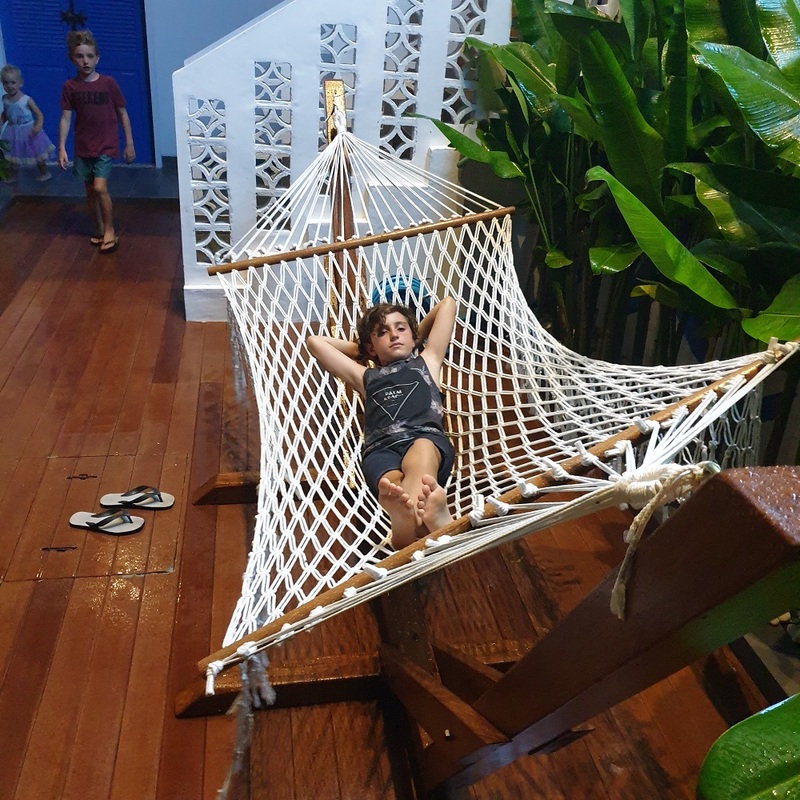 Here you can send the kids out into the epic playground which is built to Australian safety standards while you order from their fantastic fussy kid-friendly menu. We loved the Indian at The Piring Daun, Berawa. This is seriously the best Indian food this side of Brick Lane, served in a cool industrial warehouse. Dandelion’s is another groovy Canggu staple, with those amazingly friendly Balinese waiters and roaming pet rabbits. For more great restaurants in Berawa Beach, see our post here: the best eats in Berewa! (coming soon). There are many other great activities for families in Bali. Waterbom, Bali Zoo, Monkey Forest, Upside Down World, Tegallalang Rice Terraces, Snorkelling, Island Day Trips, Volcano Views, Butterfly Park, Bird Park, Turtle Sanctuary, Elephant Sanctuary, White Water Rafting, Uluwatu, Padang Padang Beach, Bingin Beach, Balangan Beach and so much more. All of these can be found within a 2-hour drive from Canggu and can easily be done as day trips. 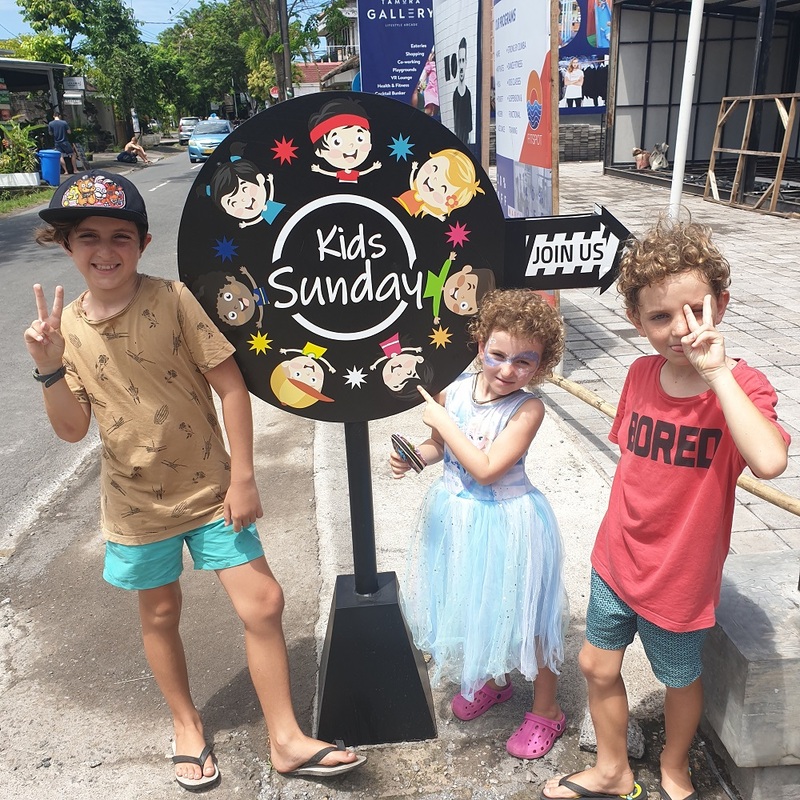 I hope that our ultimate family guide to Canggu Bali will help you and your family plan for your next trip to this wonderful place! Come and stay in Canggu! You will love it! 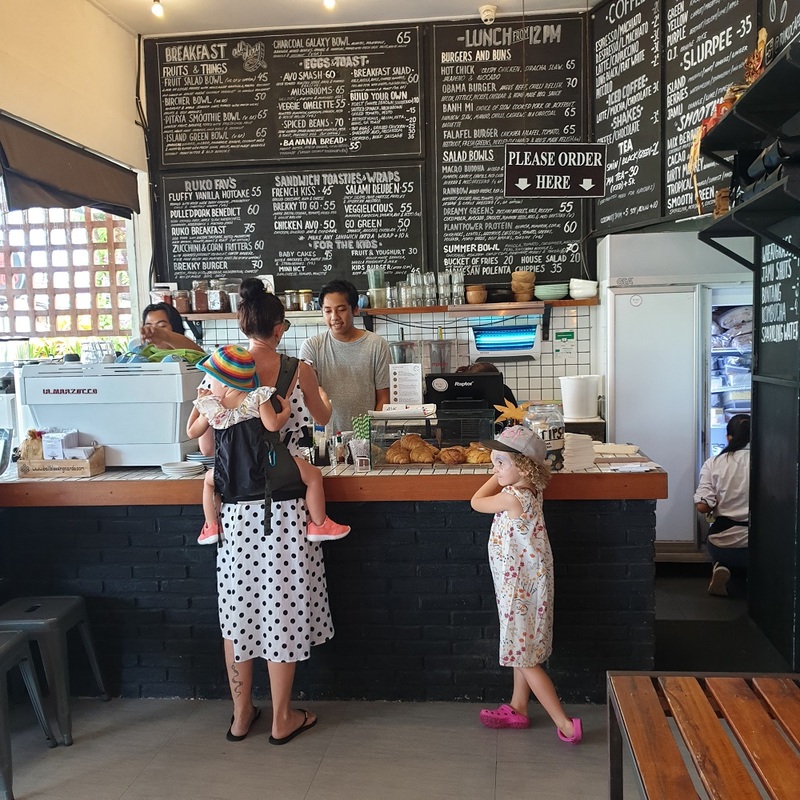 Do you have a great family friendly place for us to review in Canggu? Canggu is on my bucket list for travel. Fantastic tips to travel in the shoulder periods for the best weather and to avoid the peak pricing, I’d never actually thought of either of those things as concerns before, particularly the monsoon factor. Living where I live, we don’t have monsoon so it’s easy to forget when looking at travel ideas. Thanks! You can save a small fortune if you travel on the shoulder times. You may get a little bit more rain etc, but that is nice to experience also. Bali rain is beautiful and a relief from a hot day!! Get yourself to Bali soon! 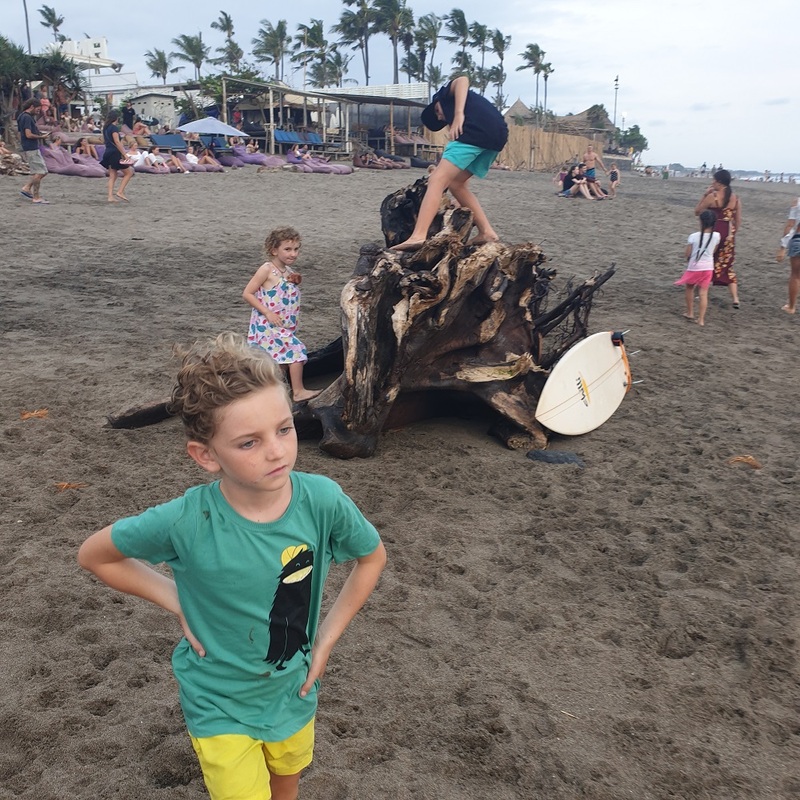 Well it certainly seems as though Canggu has an abundance of choices to keep the kids happy, which was my main concern when we were planning our upcoming trip to Bali. I also like the way they provide numerous eating out options that are kid friendly (as this can also prove a problem). My question involves the price of eating out…how reasonable are the eating establishments? 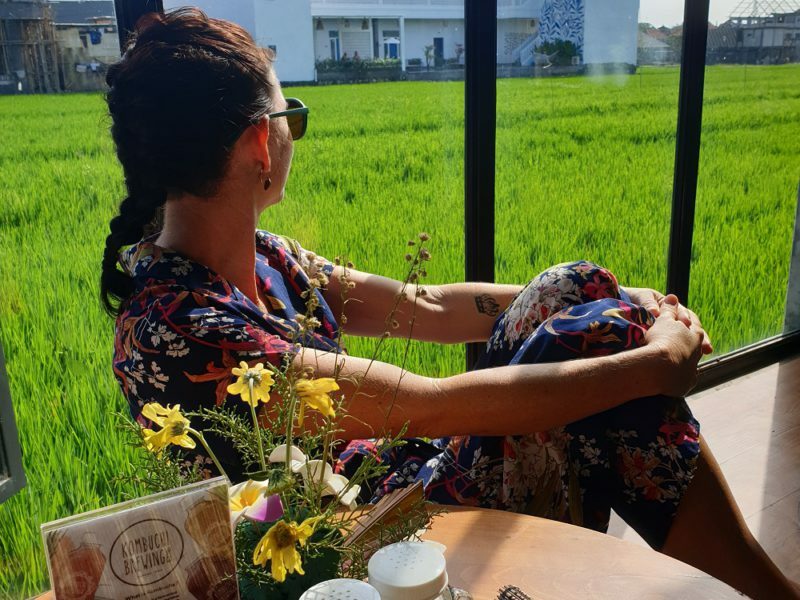 Canggu has got so many eating options, you can get anything from expensive western food, great cheap Indonesian food and street food, it’s totally up to you! We always mix it up, sometimes we will go to something special for the ambience and then sometimes we eat super cheap. I actually find the cheap option is usually the best tasting food. 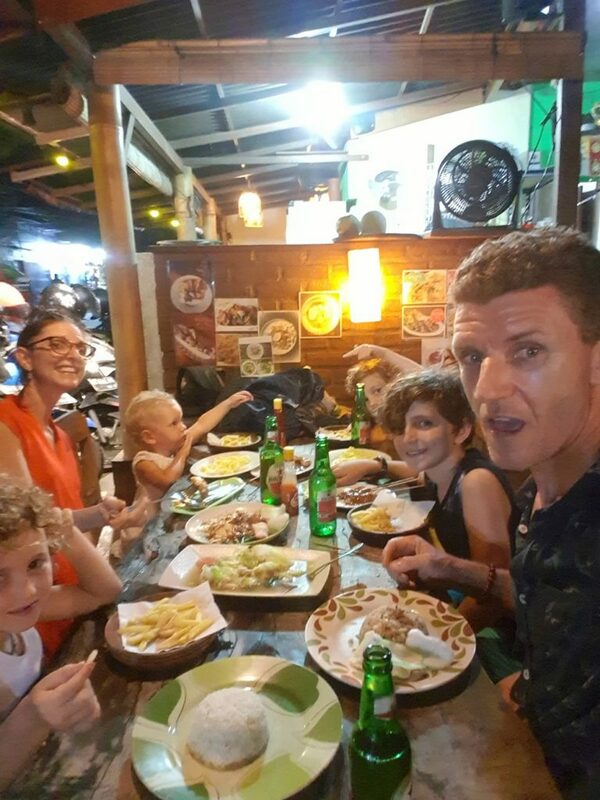 We have 6 in our family and on our last trip a great local restaurant would cost us 20-30 Aus dollars which include beers, shakes, 4 main dishes and some entrees. While a fancy, probably western owned place you would spend about 50 dollars with a family. No worries Tracy! Hope this article helps you a bit with your planning and enables you to explore more. Also, I hope we can help you with some great experiences to enjoy while visiting Bali. It truly is a unique country with so much to see and do! Cheers! Bali is on my ‘ToDo’ list, but it’s so complicated to decide and find a proper time to visit. I was reading many articles about Bali, I also have friends who were there, and I absolutely decided that it’s a destination that worth a visit. 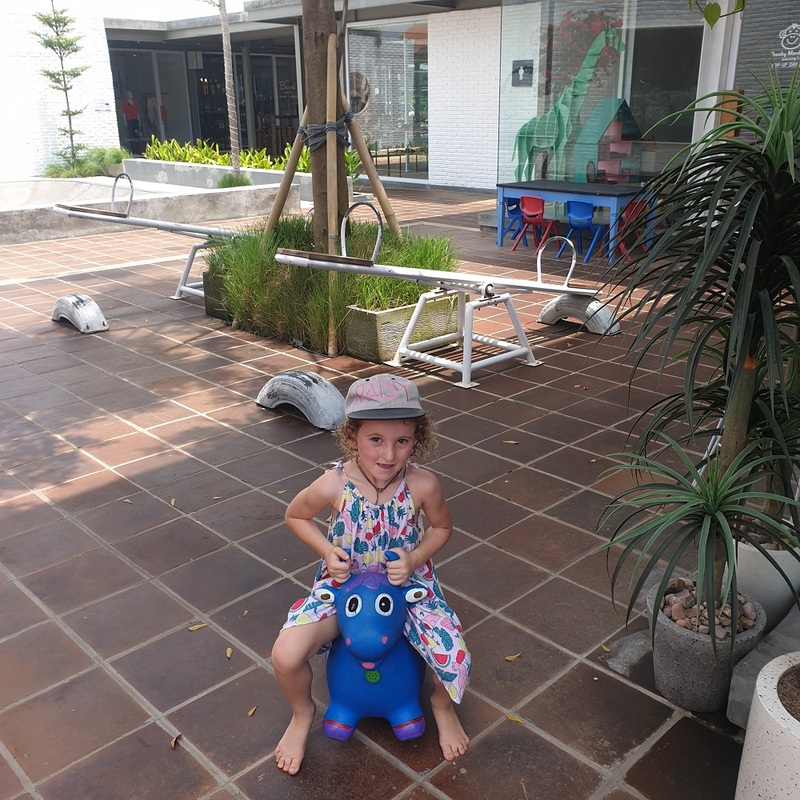 I really like that Canggu is a kid’s friendly area as the kids are full of energy and are getting bored so easy. I think September – November is the period I would like to visit. Yeah Dany, this is a good time of year, just out of the busy times. It really is one of my best destinations in the world. It’s cheap once you are here and the people are so friendly and kind. Hope you can get over there soon!! Need any more help just visit our website for further tips! It’s nice to hear that you and your family enjoy Bali so much. Balinese people are very welcomed to both foreign and local tourists. I visited Bali several times with my friends here and always visit different places. Usualy I visit around September to avoid raining season. Other than Cangu, what’s your other favorite place so far in Bali? I know it is so cool!! Other places we love and visited were Amed, Sidemen, Uluwatu and Ubud. I sort of like the rainy season, it’s great having the afternoon relief from the heat! !